Water, Water, Everywhere. . . So Why Didn’t You Drink It? The hike is going to be 16 miles. Do you want to grab one of these two liter bottles of water? No Dad. I’ll just grab another water bottle. We’ll be fine. My sons set out with the rest of their scout troop for an overnight hike in the San Rafeal Swell in Southern Utah. At 10:00 AM, when they started out it was already 80 degrees. The temperature would touch the mid 90s over the next two days. The hike was not originally part of the week-long “High Adventure” itinerary. The original plan had been to go rafting in Colorado during the beginning part of the week and then hike Harvard peak during the last two days. Unfortunately, due to the extra-heavy winter snowfall which Colorado got (and which missed Utah, unfortunately) Harvard peak was still covered in snow. A quick Google search found the San Rafeal Swell as an alternate. Sixteen miles over two days is really not that strenuous for 14 and 15 year old boys. And they had plenty of adult supervision. I was staying at our base camp and was responsible for picking them up at the other end of the hike. Plenty, including underestimating the toll of hiking in the open during the heat of the day. But, the most serious complication was when they ran out of water. The situation was so dire, that one of the leaders started showing serious signs of dehydration. Finding that spring literally saved our lives. The other complication was they underestimated how much it would tire them out to cross the river that many times. Wait, you guys ran out of water WHILE CROSSING A RIVER? When Microsoft was trying to recover from a weak Windows Vista launch they polled their users to find out what they should keep and what they should drop from the Windows suite. They received the following feedback. The irony of course, was that the video editing software known as Windows Movie Maker shipped with Vista, (and previous versions of Windows.) People had become so used to simply deleting the “utilities” that they didn’t bother to even figure out what they were. How many times have you heard a friend say this? I wish my phone had the ability to do this cool thing. Yeah, that’s included as part of the standard Android OS. It’s called “Not being able to see the forest for the trees.” We are so focused on “finding” a solution that we miss the solution that is already in front of us. Why didn’t you guys drink the river water? That river is really dirty. But, you have water filters, right? Oh sure, but trying to purify the river water would have clogged the filters. I wasn’t on the hike, so I can’t speak directly to the situation, but the thought that occured to me was “How thirsty do you have to be to be willing to drink dirty water?” Or to use a water filter that you know will only give you a single day’s use? They had a point. If you put water that is full of dirt through most water filters, they will quickly become clogged. However, there are a couple of techniques that will help. First, you can strain the water first. A neckerchief or even a t-shirt makes a pretty good seive. 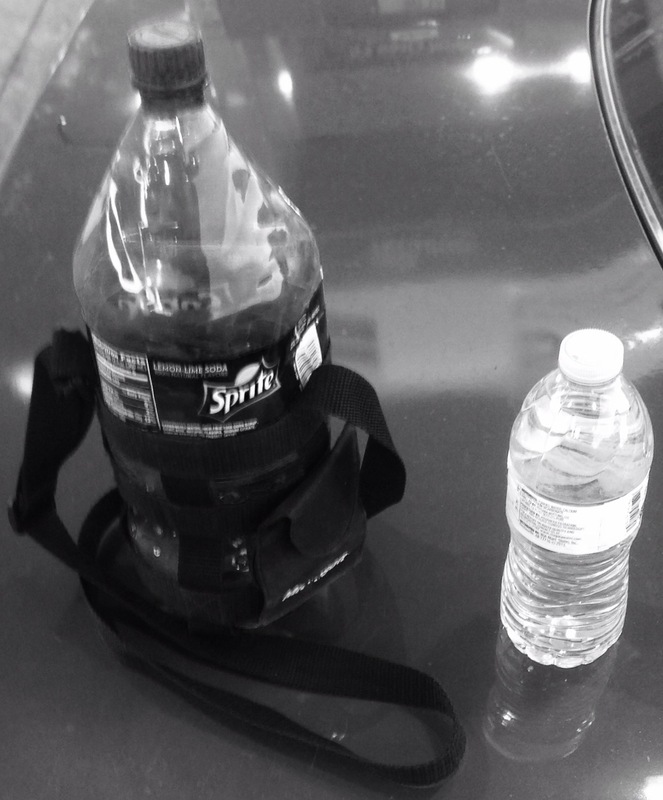 The other option is to take an empty water bottle, fill it with your dirty water and let it sit. Eventually the dirt will start to settle to the bottom. Or, you can take your dad’s advice and carry extra water. blockquote>Rodney M Bliss is an author, columnist and IT Consultant. His blog updates every weekday at 7:00 AM Mountain Time. He lives in Pleasant Grove, UT with his lovely wife, thirteen children and grandchildren. « If It’s Old Enough, Is It Still Graffiti?